For building a powerful movement for racial equality, courageously reigniting a global conversation around state violence and racism. And for harnessing the potential of new platforms and power of people to inspire a bold movement for change at a time when peace is threatened by growing inequality and injustice. THE 2017 SYDNEY PEACE PRIZE WILL BE AWARDED ON THURSDAY 2 NOVEMBER AT THE CITY OF SYDNEY LECTURE AND AWARD CEREMONY AT SYDNEY TOWN HALL. A CELEBRATORY DINNER, THE FOUNDATION’S ANNUAL FUNDRAISING EVENT FOR THE PRIZE, IS ON FRIDAY 3 NOVEMBER. In 2014, Black Lives Matter emerged as a global phenomenon when the hashtag #BlackLivesMatter turned into a rallying cry for a new generation of civil rights activists and organisers. A movement swept across the United States, affirming black humanity in the face of relentless police brutality, mass incarceration and racial disparity. Built and sustained by many, the Black Lives Matter Global Network (BLM) has played a vital role in growing the Movement for Black Lives, and its loud calls for justice, dignity and equality have resonated around the world. 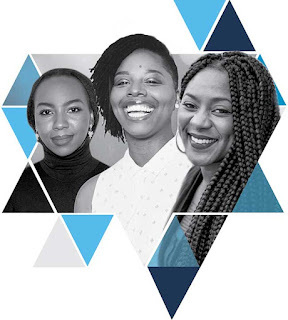 Since creating the social media hashtag #BlackLivesMatter in 2012, BLM’s Co-Founders, Alicia Garza, Patrisse Cullors and Opal Tometi steadily and strategically built the scaffolding of a nationwide on-the-ground political network that now has 39 chapters worldwide. Encouraging a broader and deeper conversation about what justice for black people looks like — and how people can join forces to achieve it — the Black Lives Matter Network nurtures an inclusive, decentralised and leaderful movement from the bottom-up. The Founders want the faces of this movement to reflect the change they strive towards in their own communities, which is that all black lives matter, regardless of their gender, class, sexual orientation, or age. For the Founders, Black Lives Matter Network is not ‘just’ about extrajudicial killings and police reform. Rather, it is an intervention: Black Lives Matter demands that American society reconsider how it values black lives by identifying where and how black life is cut short by the state, whether in viral videos of police brutality, the self-fulfilling prophecy of the criminal justice system, or in areas where black communities disproportionally face homelessness, poverty and economic disparity. Black Lives Matter is our call to action. It is about replacing narratives of black criminality with black humanity. It is a tool to reimagine a world where black people are free to exist, free to live, and a tool for our allies to show up for us. Black Lives Matter is about changing the conversation: If it is true that black lives matter, then what does that mean for police reform, for our justice systems, for schools, for jobs, for infrastructure, and for economic development? If black lives matter, then what needs to change in politics and in the media? In only a few years, it has rapidly evolved well beyond a hashtag, into a social movement that is healing and organising communities across the USA, and has both political aims as well as visionary policy demands. Without justice, peace is hollow and fragile. As societies and human beings, we cannot be at peace when people around us are suffering. Or when rules, institutions and behaviours that shape our daily lives – visible or invisible – tell us that the lives of people around us matter less, or don’t matter at all. Black Lives Matter offers bold and visionary solutions to build societies where black people, and by extension all people, are free to live safe and dignified lives. This vision of love, hope, resistance and dissent resonates around the globe and particularly in Australia where the struggle with racism towards our First Peoples, asylum seekers and other excluded and marginalised communities scars our country and tarnishes our international reputation. To turn a radically inclusive message into a rallying cry for millions of people requires vision, leadership, heart and courage. Alicia Garza, Patrisse Cullors and Opal Tometi and the many other Black Lives Matter leaders challenge us all to rethink, reimagine and reconstruct the societies we live in. This is an urgent and vital challenge, not least here in Australia, a country that struggles to come to terms with its past and fails to right ongoing wrongs. This is the first time that a movement and not a person has been awarded the Peace Prize – a timely choice. Climate change is escalating fast, increasing inequality and racism are feeding divisiveness, and we are in the middle of the worst refugee crisis since World War II. Yet many establishment leaders across the world stick their heads in the sand or turn their backs on justice, fairness and equality. The power of ordinary people is a phenomenal force for change – now more than ever, popular movements and political resistance is crucial.